NATHAN J. BREEN is a partner with Howe & Hutton, Ltd. Nathan serves as counsel to national and international trade associations across wide variety of industries providing guidance in the areas of association governance, antitrust, intellectual property, certification and accreditation, ANSI standards, information technology, hospitality, employment law, and risk management. He is former Chair of the Trade and Professional Associations Committee of the Chicago Bar Association. Nathan has taught courses in hospitality law both in person and online as an adjunct professor at Lexington College and Kendall College. He earned his undergraduate degree from DePaul University and his Juris Doctorate from The John Marshall Law School. 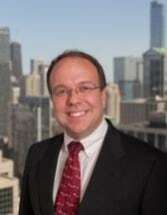 Nathan is a member of the Chicago Bar Association and the American Society of Association Executives and is admitted to practice in Illinois and the United States District Court for the Northern District of Illinois.